Traffic Signals — Sustainable Traffic Solutions, Inc.
With over 30 years of experience designing, operating, and maintaining traffic signals, Joe gained his traffic signal knowledge through hands-on experience working as a city traffic engineer, working for a signal contractor, through equipment sales, and as a consultant. This well rounded experience helps him to understand the intricacies and nuances of the signal design and operation. Joe has designed 145 traffic signals in Colorado and Wyoming, and managed the construction of 54 of these signals. He has experience with the design of complete traffic signals, modification of existing signals, and replacement of existing signals utilizing mast arm poles, span wire poles, and modular poles in the Denver Tech Center. Joe has designed traffic signals to meet CDOT and WYDOT standards or the standards of the local municipality. He has also worked on several design-build projects. Mr. Henderson has developed interval timing for more than 300 signals for NEMA, 2070, and Type 170 controllers. He has performed timing studies for corridors and grid networks utilizing Synchro, TruTraffic, and Transyt 7F. Joe has optimized the timing in the field to verify that his timing accommodated the traffic flows. The following are examples of corridor and network timing projects that he has performed. 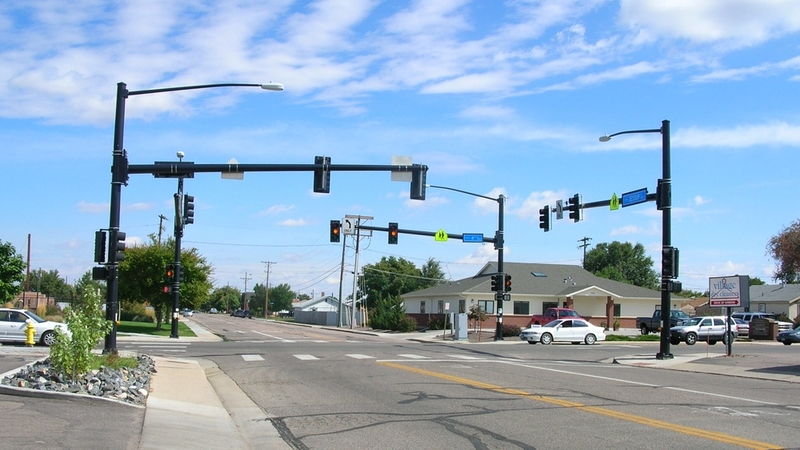 Joe has designed and implemented multiple traffic signal systems in Colorado and Wyoming. His experience includes the selection of controllers and system software, communications design, preparation of specifications for hardware and construction, and implementation of the systems. The following examples demonstrate his experience in the area of traffic signal system design.